Unveiling the journey of great ideas becoming reality at Digital Product Builders 2017. Join us at Korjaamo on September 21st! Unveiling the journey of great ideas becoming reality. At Digital Product Builders 17, we are going to take digital product creation out from behind closed doors. We believe in transparency, creativity and before all, great code and design. This is why we would like to invite you to see and experience the entire journey of our modern method of digital product building, from strategy on a whiteboard to real, functioning code. We will provide you with cutting-edge keynotes detailing every step of the digital product creation process and in addition to that, you will see a digital product created onstage by an Eficode team, live. From Digital Product Builders 17, you will gain a newfound understanding of how to create digital products in your organization, how to buy digital product creation services and how to lead teams that create digital products. In addition to this, you will have a chance to network with the brightest minds in the software design industry of Finland. We would love to see you at Korjaamo in September 2017 and together create the future of digital product building. Afterparty will be hosted by Eficode and partners in the centre of Helsinki. What is the value of a Service Jam? Process, tools & techniques in product design in today’s world. How can Root tools & modern software development methods affect your end-to-end software creation process? How does user feedback based product/service development work? What does “failure as an option” mean for a corporate like OP and how to pay attention to the existing portfolio to create value to customers. What are the trends in product creation today and tomorrow? What are emotive machines, and what about machine empathy? What is the value of a well defined end-to-end creative process? What do all of the ideas shown at DPB mean for corporates & how can you apply them? When we asked for a title from Petri Lattu, he politely declined to give one since no one at Nordkapp has a title. After some amount of grilling, he agreed to give his previous title, Head of Strategy. 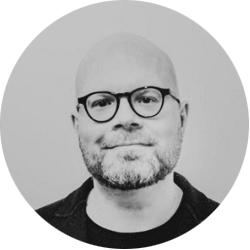 Petri is a seasoned design and strategy professional who has held numerous strategy positions in companies such as Satama Interactive, OER Amsterdam, Robot Helsinki and Umbrella Advisory. His main area of interest within strategy and design is the idea of change and facilitating responsiveness to that change by understanding future trends on a deeper organizational level. Petri is known as a provocative, funny and honest public speaker and his keynote is something that you definitely don't want to miss. He has also won a lot of awards - most recently in 2017 the Grand One for the Innovation category and the international Red Dot award for design. Also, he wanted to tell us that he "eats nakkeja & perunasalaattia once a year", so there's that as well. 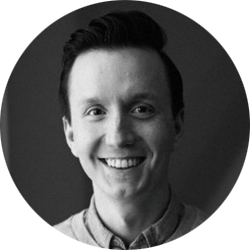 Harri Nieminen is the Service Design Lead at OP, one of the largest financial groups in northern Europe. OP has recently initiated a major shift towards a more holistic view of the service sector as a whole and now considers itself a diversified service company. OP has done this shift by changing focus from developing individual products to developing customer-driven service packages. As a part of this development at OP, Harri has been building an in-house design competence center within the company and as a result of that, he estimates that OP may now have the largest in-house design team in all of Finland. All this in an industry that is known for its relatively slow movement is a formidable achievement. Harri considers design thinking, customer centricity, design management and empathy as his personal key assets that are critical to his everyday work at OP. Harri also admits that he is hopelessly addicted to kale chips. 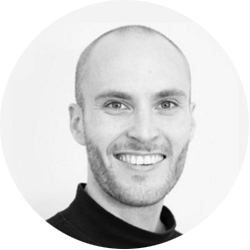 Kauri Salonen is the Lead Strategist at Eficode, our resident expert on concept design, strategy work and branding in a tech context. He is a truly multidisciplinary soul, working hard each day towards bringing together designers and developers and making Eficode a transdisciplinary company that is more than the sum of its parts. Kauri is interested in bringing out the best in people and facilitating that process, seeing personal development and making people thrive. In DPB17, Kauri wants to share his experience of what is the value of the Service Jam Session when innovating new serviced and also some of his experiences and views on modern software development processes as a strategist who has his roots in design and design thinking. Kauri is a constant source of new, innovative ideas and proudly admits that he gets them mostly in the shower in the mornings. Jari Ängeslevä is the Executive Vice President of Strategy and Growth at Eficode. 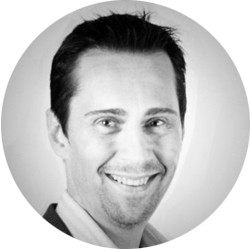 He has been involved in the world of IT and business development +20 years with experience from jobs such as Director of Product Management at Sonera, Project Director for Russian ICT Project from International Finance Corporation, Senior Business Development Director at Invest in Finland and Principal Consultant at Futurice. Now he leads strategy and growth at Eficode and is responsible for steering the company in the direction that the puck is going to, not the direction where it is now. Jari is a keen student of creative destruction, disruption and strategic thinking and is known for his openness for new ideas and directions, no matter how surprising or unexpected they may be. 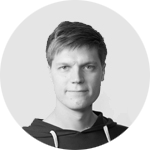 At DPB 17, Jari will illustrate what kind of a company Eficode is today, what it is capable of and how it will change the world with software. If hearing about cutting-edge software development and disruption is your thing, Jari is your man. Watch out though, since he has been lately boasting about his silver medal at the National Championships of karate at the office. Marko Klemetti is the Chief Technology Officer of Eficode, a position that carries significant amount of weight in a technology company. He has more than 20 years of experience of software development, software technologies and solving business problems using the most cutting-edge software available. Marko’s deep understanding of how business, development and operations are brought together enables him to look at software creation from a strategic while his extensive programming experience and skills allow him to understand the operational level of software creation as well. Marko is the complete package and we’re obviously very fond of him. This is why we would love to have you hear his ideas as well at DPB17. Marko will talk about the possibilities of modern automation in service creation and if this isn’t cutting-edge, we don’t know what is. Marko would also like you to know that he has read all the books that have received the Hugo and Nebula awards, so he’s at DPB for all your science fiction and fantasy needs as well.